WARNING: Longest post ever (this blog does double as my journal after all)! If you only want race details, scroll down to the “Monday, the Boston Marathon” section below. Odysseus had his Odyssey. Ulysses had his Iliad. Allen had his Road to Boston. Monday, as I stood in the starting corral in Hopkinton, as I tried to remain stoic even while I fought back tears, the climax of my grand quest was set to begin in mere minutes. I took the last few minutes to reflect on how this journey all began. Back in 2002, my life was in shambles – I was going through a divorce and my mom was dying of cancer. I had a choice – I could wallow in misery or I could pull myself together and start a new, productive, meaningful chapter of my life. To quote Andy Dufresne from The Shawshank Redemption, it was time “…to get busy living or get busy dying”. I chose the former. My friend Todd was coming to a similar conclusion after battling, and defeating, cancer. I had recently starting running again after years with minimal physical activity and Todd, about my same age and a former track guy as well, said, “We should run a marathon”. I thought that was a great idea so we started running together regularly. 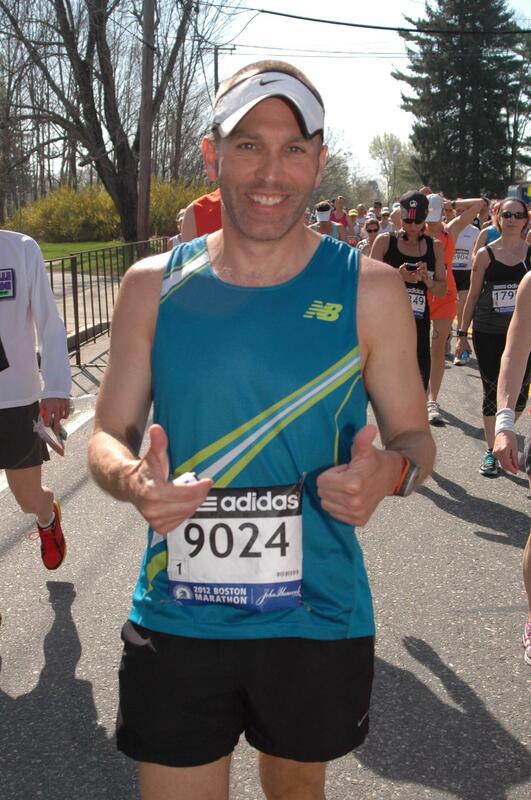 While we trained and subsequently ran our first marathon together, the Catawba Valley Marathon (I believe this no longer exists) in Hickory, I started entertaining the notion of trying to qualify and run the Boston Marathon. The quest was born. It took 5 marathons before I finally qualified (Hickory 3:50, Bob Potts 3:57, Richmond 3:34, Shamrock 3:26, Towpath 3:22 – I threw in a 3:19 at the Dallas White Rock Marathon for good measure – my standard had been 3:20 for so long that Towpath felt like it didn’t quite count somehow). When it was time to register, I took the day off, sat in front of my laptop, and submitted my registration within a minute of it becoming available online. Shortly thereafter, I found out that I was officially in. About four months ago, still fighting through multiple injuries, I started my official 16-week Boston training program at less than peak condition. I gradually upped my mileage as I walked the tightrope between getting fit and exacerbating injury. 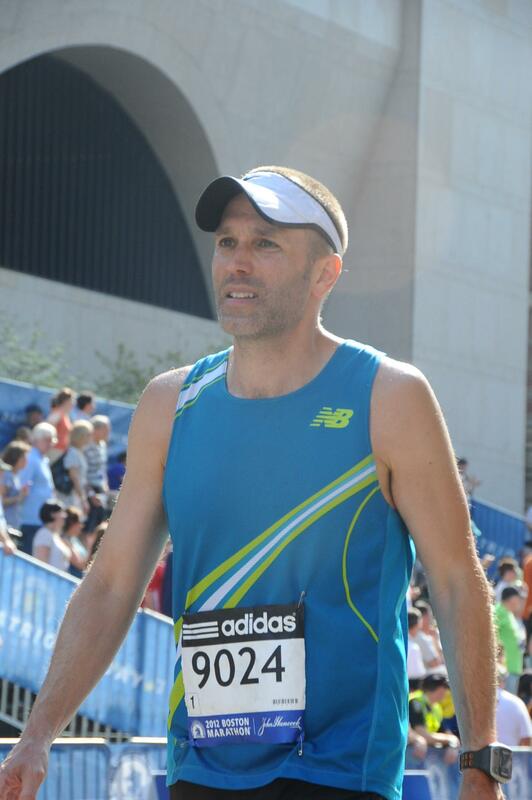 With the injuries gradually healing, I made it to the heart of training at about 40 miles a week – not the ideal mileage for a marathon, but certainly better than where I started and more than I ran in training for my first couple of marathons. Hopefully, I would be able to finish respectably and at least have a reasonable shot at re-qualifying for next year (3:24:59 or faster). Fast forward to Monday – I lined up in Hopkinton. This was it, the moment I had worked for for over 8 years. The hallowed course, my Mecca, lay before me. Only 26.2 miles to complete the quest, 26.2 miles until I was a Boston Marathon finisher. I knew this was going to be tough – all marathons are tough – but I had no idea just how tough this last leg of my journey would turn out to be. But before I get to the actual marathon, let me fill you in on the lead-up. The planning had taken months. Nathan, my friend, running partner, and unofficial coach, helped me put the trip together. Originally, we planned to rent 2 places, one in Westborough, a few miles from the start, and one in Boston, very near the finish. So I booked the 2 spots that he (having stayed in both places the year before) recommended. We found another roommate in our mutual friend Derrick and accommodations were set. As the race grew near, I grew a little hesitant to spend Sunday night near the starting line – this added some extra logistics and as any follower of this blog and/or friend of mine can tell you, logistics are not my strong suit. We could be putting ourselves in a tricky spot – difficulty in finding a ride over from the hotel in nearby Westborough could spell disaster on race morning. 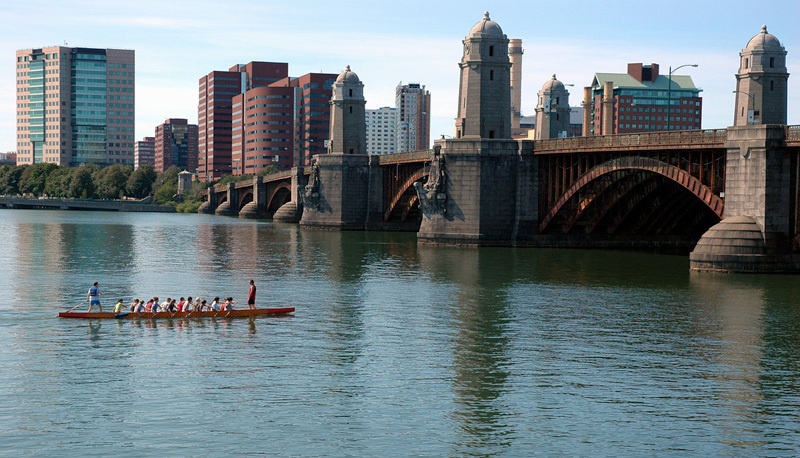 And besides, I kind of wanted to take the bus ride from Boston to Hopkinton – it’s part of the experience. I talked to Nathan about this and we agreed to cancel the hotel in Westborough. I flew out on Saturday morning. The flights went without a hitch, the only negative being the sycophantic restroom attendant at Charlotte Douglas airport – he stopped me from washing my hands until after he’d sprayed some deodorizer over the sink. Really Charlotte, the airport price-gouging isn’t enough? I just paid $4.25 for a soda and now I’m supposed to give money to some guy in the bathroom? There are a lot of things in life that I need help doing – using the restroom is not one of them. But I digress. I caught my connector in Atlanta with no issues, and landed in Boston on Saturday afternoon. I was a little concerned about taking the train into the city – these are the things that slip me up – but I had instructions that seemed straightforward and after perusing a few signs in the airport, I mostly figured it out. I took the airport shuttle to the train station, muddled my way through purchasing a train ticket and putting it in the machine to allow me into the station, got on the train, and headed into town. I only had one minor setback. On the train, I couldn’t find my destination, the Prudential Center, on the subway map in the train, so I exited to buy myself some time and make sure I was headed in the right direction. I had to exit the waiting area to get to the information booth – basically I was going to pay $2 to ask a question. I mulled over the subway map and deduced I needed the E train so I walked up to the lady in the booth and asked, “Hey, where do I get on the E-train?” She responded tersely, “Here” with exasperation and an implied “stupid!” Yeah, I’m the only guy from out of town this week that will ask you a question. Get used to it, lady – you’re gonna have a long weekend. I was a little miffed, but what can you do? I turned around, paid my $2 question fee, and got on the next train which quickly carried me to the Prudential Center. I was a little proud of myself for making it there with only 1 snafu that accounted for maybe a 5 minute diversion – that’s good for me. I eventually made it to the condo. Nathan and Mike (Beigay, who had rented this condo last year and helped me reserve it this year) both conveniently failed to mention the stairs until only a couple of days earlier. I counted them as I lugged my suitcase up, up, and up some more – 46 stairs. I wasn’t so concerned about them now, before the marathon, but I was a bit worried about navigating these damn things after the race. I settled in and then contacted Kevin, aka The Gypsy Kid. His dad has a temporary apartment on Boylston Street and had made reservations for us at Cantina Italiano. Now I had to navigate from the condo to the restaurant (Nathan would be meeting us there straight from the airport) . Thank god for the Google maps public transportation option – it got me to the Haymarket station, the one nearest the restaurant. When I stepped off the train, I went to ask someone where I could find Hanover Street – I spotted a guy smoking a stogie and wearing a Bruins jersey. I asked him and he answered, with a thick Boston accent, “Follow the crowd”. Sure enough, the crowds led straight to Hanover, and once there, I thought I could just look for the word Italian on a restaurant sign. Oops – found out later that I was in Boston’s Little Italy – dozens of restaurants had Italian in their name. I whipped out the smartphone and found the actual address. Once again, modern technology has improved the quality of my life! In the restaurant, with all the major logistic hurdles crossed, I could finally start relaxing. I found Kevin and his pop in the back of the restaurant. A few minutes later, Nathan joined us and the carbo loading commenced. We learned that Kevin’s dad was giving TGK quite the tour of the city – they had come from the Bruins playoff game. After dinner, they were hitting the world famous Mike’s Pastry for cannoli, and then on Sunday they had seats at the Red Sox game, directly behind the Green Monster. Jealous! Stuffed on pasta (I had the tagliatelle – delicious! ), Nathan and I made our way to the condo, and after a quick visit at Shaw’s (earlier, Kristen, the girl who had let me into the condo, described Shaw’s “like your Piggly Wiggly” – apparently she believes that Piggly Wiggly is the grocery store in North Carolina), we gathered up Derrick, traversed the 46 steps, and the three of us settled in. The condo we rented was a tiny, 2-bedroom affair with one of those being a toddler’s room. So there was only 1 bed (unless somebody wanted to go all fetal position and cram into a bed made for a 3-year-old), but 2 large couches. We decided Derrick could have the bed ( my reasoning was that Derrick had the best odds of setting a big PR so he should get the bed) while Nathan and I grabbed a couch each. After chatting for a bit and making Sunday plans, we finally retired for the evening. I was exhausted from all the circumnavigating, but for whatever reason(s) – nerves? heat? boisterous late-night people screaming outside? – I had a fitful night with little sleep. During one of my brief periods of actual unconsciousness, I dreamt that the condo owner, Cécile, arrived home, didn’t like the condition we’d left her place, and therefore screamed at me. I woke up feeling more exhausted then when I went to bed. In the morning, we headed to Boylston Street to catch the 5K and then to meet Kevin for a shakeout run. The morning was a nice little preview of the spectacle that is the Boston Marathon. The grandstands were full and it was exciting to watch some 10 guys come barreling through in under 14 minutes. 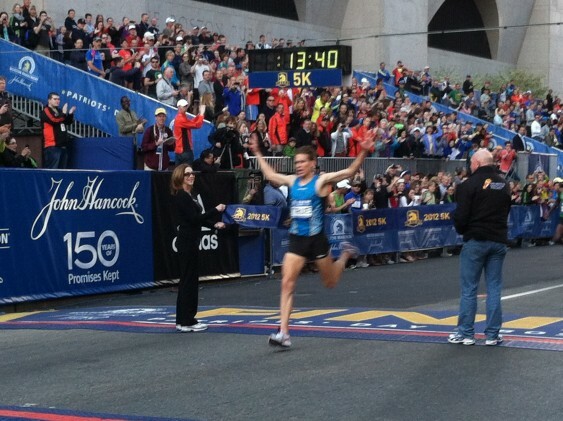 What I wouldn’t give to cross the finish line of the marathon like this! At about 17:10, I saw my pal Meagan Nedlo finishing. I had no idea she was running but I screamed my lungs out cheering for her. I spotted my ubiquitous road race buddy Christi Cranford (I swear I could race in Antarctica and I would run into Christi there) walking by and she gave me a big hug along with this piece of advice, “The race starts at 16”. We found Kevin (or he found us) and the 4 of us headed out for our run. On the way out, we ran into Jordan who relayed to us how he ran a hungover tempo that morning by running to retrieve Meagan’s bib barely in time for her race. The gorgeous backdrop for our shakeout run on Boston Marathon Eve. After the run, Derrick, Nathan and Iwalked back to the condo, where we showered and then headed right back out, jumping on the train to go to the expo. Best themed booth (only themed booth?) at the expo. After a few minutes walking around and fighting the crowds, I was again exhausted. Nathan, Derrick and I left and got in line for the train. We waited for well over 15 minutes and as the throngs of runners leaving the expo piled into the station, there was still no train in sight. Finally we bailed and decided to get a cab, but not before spotting Jay Holder entering the expo. I screamed across the way and we all waved – I kept spotting fellow Charlotte runners all weekend. We grabbed some lunch from Shaw’s, aka The Piggly Wiggly of Boston, and went home and chowed. Afterward, I passed out on the couch and had a glorious 2+ hour nap, easily the most blissful 2 hours of my entire trip. Later, we grabbed more food from the nearby Cheesecake Factory – I had more pasta – and then we just lounged around until retiring early. Other than the stress of dealing with my tax guy calling around 10:00 (aside – why do I procrastinate so and do this to myself every year? Last year, I was dealing with taxes the night before Cooper River!) it was a nice, calm evening. I slept relatively well for the night before the biggest race of my life. Kudos if you’re still reading – you will be rewarded (or punished, depending on your point of view) any second with the actual details of the race. We got up around 5:00 and all went through our individual race day rituals. With no toaster to be found, Nathan helped me out by setting the oven to broil so I could toast my bagels. I had my usual race day fare – bagels with peanut butter and honey. I drank coffee then started hydrating for the long, hot day ahead by sipping on Vitamin Water. By 6:00, the three of us headed out the door. We were off the train and heading to our bus by 6:30. This year’s Cooper River staff could learn a lot from the BAA folks who quickly and efficiently herded us onto buses which departed within just a few minutes of our stepping off the train. My anxiety level increased the closer we got to Hopkinton. Want to freak out about a marathon? Ride a bus for an hour and think to yourself, “Holy #$%!, I have to run this far? !” Nathan, in the seat in front of me with Derrick, turned around and said, “There’s only one way back now”. My stomach did somersaults. Finally, we arrived in Hopkinton, at the athletes’ village. Think Woodstock (Bonnaroo or Burning Man for you young whipper snappers) if nobody (well almost nobody) was high and everybody was skinny and fit. It was like a big festival with twenty-five thousand people milling about, music blaring, an MC making steady announcements, and a jumbotron showing race instructions interspersed with people’s texts. By this point, it had been a few hours since I’d eaten, so I grabbed another bagel (there were huge spreads of free bagels, fruit, coffee, power bars, etc., so if you ever run Boston and you’re late and missed breakfast, don’t panic). I sipped on water in an attempt to remain hydrated. We found a shaded spot and grabbed some Power Bar boxes to sit on in the dew-covered grass. 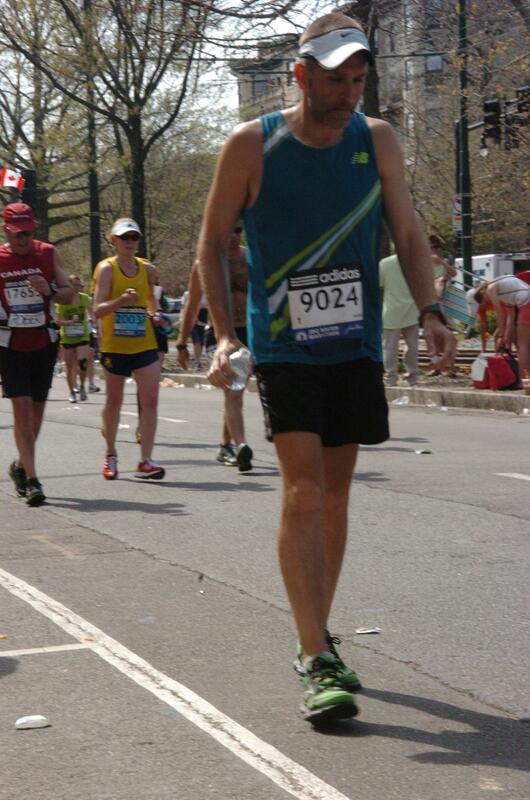 I think it is a legal requirement that you have this picture taken at your first Boston Marathon. Answer: Derrick, Nathan, and Allen. Question: Who are 2 guys that will manage the heat well and one that will oh-so-very-not? By 9:00 a.m., it was already ridiculously hot (I’m guessing we hit 80 degrees, or very near there, by 9:00). On the outside, I remained calm. On the inside, I was flipping the $%^& out. Before I knew it, Derrick and Nathan, in the first corral, were gone. Bobby Wheeler, another Charlottean, hung around and chatted with me for a few minutes before he too had to leave. And then I was alone, but that’s fine. 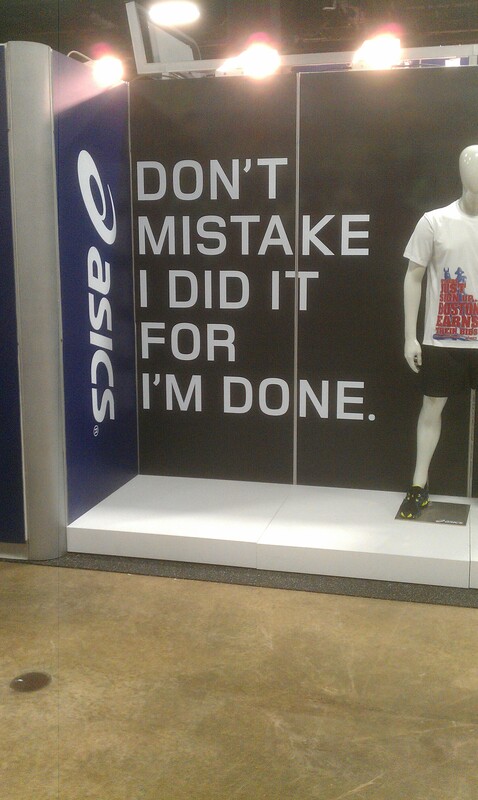 I’m sure I’ve said this before but I’ll say it again: Running a marathon is a lot like dying. No matter how many people are around you, you ultimately have to do it alone. Suddenly, they were calling my corral to the starting line and I nervously walked up. More walking – by this point I had probably walked over a mile, and I’d probably exceed 2 before the start of the race. I was already sweating profusely. Who has 2 thumbs and is about to die from heat stroke? This guy! I needn’t have feared about getting to my corral in time – Boston has this thing down to a science. You keep walking along, the higher numbered corral folks peeling off to line up in their respective corrals, until you come to yours and you just walk right in – volunteers check your bib and make sure you belong. I got to mine and parked it. 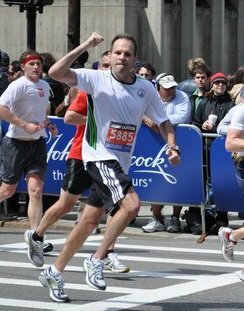 After 8 years of working towards this moment, I was finally going to run the Boston Marathon. Be careful what you wish for. I was drenched in sweat and we hadn’t run the first step yet. I looked to my left and spotted fellow DART’er Mark Ippolito. I called out to him and gave him the thumbs up. I thought of working my way over there to see if he wanted to run together but the start was mere moments away and I wasn’t sure I could make it before the gun fired. And I was getting a little teary-eyed and didn’t know Mark well enough to feel comfortable bursting into tears in front of him. So I stayed put when suddenly the starting gun fired and we were off. The night before, I had exchanged texts with Todd Capitano about maybe running together, but we didn’t quite work it out. I wonder if I had run with Todd, or Mark, or if I had stumbled upon Chad Randolph, or Robert Yendt – any of my friends in my wheelhouse if things would have turned out differently. But I didn’t so we’ll never know. “Throttle back, throttle back, throttle back!” I inwardly screamed at myself, even though I felt like I was crawling. But every time I glanced at my watch, my pace was low-to mid 7’s. I felt fine, cruising downhill, as hundreds, if not thousands, of folks flew past. Despite the heat, crowds lined every inch of the course from Hopkinton to Boston, and they exuberantly cheered us on. First mile, 7:28. Slow it down, dummy. I kept trying to yank on the reins but the legs wouldn’t listen as I was buoyed along by the hordes of runners and the throngs of Bostonians (Hopkintonians?) cheering madly. I clicked off the first few miles and felt great. “Man, this is gonna be a piece of cake. I’ll be done before I know it”, I thought. Fool’s gold. Mirage. I stopped at every water stop, along with everybody else – there were some serious traffic jams/pile ups. At each stop, I grabbed 2 cups of water, drinking one and dumping the other over my head. At one, I quickly grabbed 2 cups and dodged the crowd piling up at the water table when some girl ran up to me from my left and screamed, “Gimme! Gimme!” gesturing that I should hand over water, so I gave her one of my cups and she just sprinted away without a word. “You’re welcome!” I yelled after her. The heat rose quickly. After perhaps the first 2 miles, shade was mostly non-existent. And yet I felt fine, effortlessly clicking off the early miles in faster than goal pace (7:50’s) – 7:37, 7:47, 7:45. The crowds, the fellow runners, the spectacle of it all, kept my adrenaline high and so many locals were out with garden hoses, sprinklers, squirt guns, spray bottles and the like, that you never seemed to go long without getting cooled off. 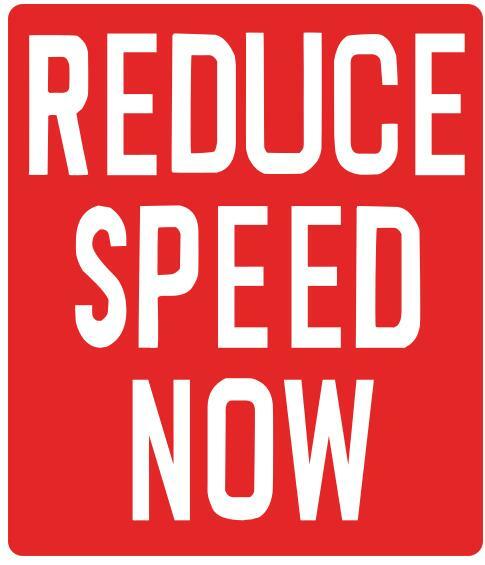 If I had a time machine, I would travel back to Monday at mile 1 and whack running me in the face with this sign. Let’s all pretend that this is my finish line picture. In the meantime, the good people of Boston were doing their best to help all the runners out. They handed out fruit, popsicles, and entire ice-cold 20 ounce bottles of water. And not just the generic stuff – I’m talking Aquafina. I continued to drink some then pour some over my head, always trying to keep cool. But by mile 8, my pace began to rapidly deteriorate and I felt fatigued. I’ve run enough marathons to know that if you feel bad at mile 8, it’s going to be a long day, a very long day. I intentionally slowed down, hoping I could rest/recover. I hoped this was a temporary rough patch. I should know by now that I’m not that lucky. But with every step, discomfort grew. The running portions got shorter and shorter and the walking portions got longer and longer. I felt a great fear rising in my gut when I thought about the Newton Hills which begin around mile 16. I was beginning to struggle through the easy, downhill, flat portions of the course. What was I going to do when I reached the hills? I tried to push such thoughts out of my mind. I tried to take a gel at mile 10 and I gagged at the warmth of it. The thought of taking another gel was repellant to me. This is not good – I was going to need some kind of fuel. I started drinking gatorade which often upsets my stomach, but I felt like I had no choice as the gels simply would not go down. Around mile 12, I could hear a wall of sound up ahead – there was a bit of a hill so I walked up it in hopes that I could gather myself enough to run through Wellsley. Finally I hit Wellsley and the girls did not disappoint – their cheers were deafening and I suddenly found the energy to run again. I cruised past and gave high-5’s to hundreds of co-eds. When I spotted a “Kiss me!” sign, I stopped and took the girl up on her offer. I cruised past the college. The girls of Wellsley and the site of my last hurrah. Only halfway and already spent – I could barely hold my arms up. I was rapidly fading, but I kept alternating between running and walking. 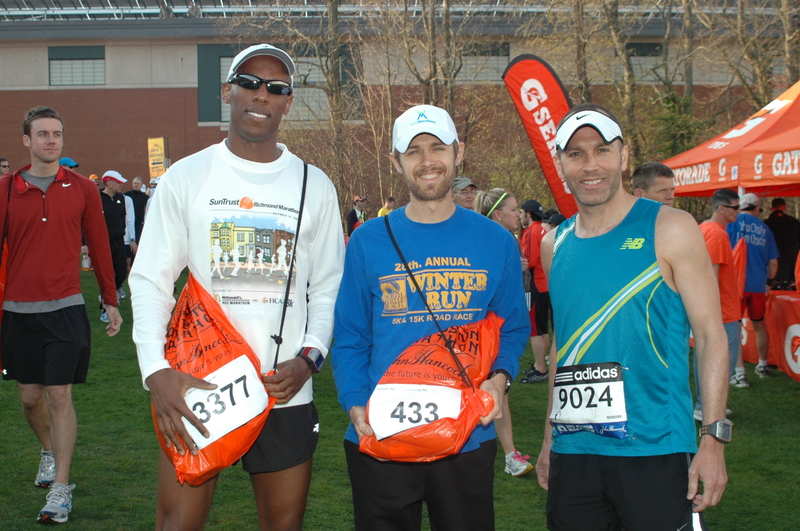 I crossed the half in 1:52 and mile 13 had been a 9:17. I believed I could still break 4:00 and keep alive my streak of never having run over a 4-hour marathon. I had no idea how bad things would get. I was already spent enough that if this was any other marathon other than Boston, I would have DNF’d. But this was Boston so I trudged on. I halfheartedly attempted to take another gel around mile 14. Again, I gagged. I threw it down in disgust. After 14, things became a blur. I hemorrhaged time worse than in any other race in my life. I began fighting nausea, dizziness, and extreme fatigue. My mantra became “Just keep moving. Just keep moving.” and I kept singing this song to myself. Soldier on! I am so incredibly grateful to the people of Boston. Even though the second half of the race is a blur, I distinctly remember certain fans. Like this giant of a man, wearing a shirt that read “Michigan Dad”, who looked and sounded just like Uncle Teddy from Rescue Me. He looked me straight in the eye, pointed directly at me and yelled with a thick Boston accent, “YOU! Are awesome! You’re doing this!” His motivational line seemed heartfelt and genuine. And so many kids really getting into the race, so excited when you gave them a high five. It was unbelievable, incredible stuff and a vital part of what makes the Boston Marathon the greatest marathon in the world. I remember mightily struggling at 16 when we hit the first of the Newton Hills. I was becoming acutely desperate for shade. There was none. I distinctly remember thinking, “Where are the trees?!? For the love of god, why are there no *&^!ing trees in this town?! ?” I cannot describe the level of fatigue my body felt. Those of you that have bonked before in a race will at least partially know the feeling, but this was so much worse, and so much earlier, than any other bonk I’d experienced. My arms felt unbelievably heavy, like they were pulling me down. I tried to rest them on my hips, or on my head, anywhere that some other body part besides my legs could help carry some of the weight, but nothing seemed to help. Focusing on trying to walk in a straight line, I didn’t even notice the camera man. I started looking down and tried to focus on walking in a straight line. I was beginning to stagger. I gladly accepted food items from strangers – I knew I needed some kind of fuel since gel was no longer an option and at this late stage, all the Gatorade was hot and as difficult to keep down as the gel. I was especially grateful for frozen treats: icies and popsicles and the like. Someone handed me an ice cold washcloth and I tried to wedge it into the back of my visor to create a French Foreign Legion hat but I no longer had the coordination to successfully pull this off so I just wrung out the water over my head and kept moving. A tiny little boy handed me a slice of delicious watermelon as I started up Heartbreak Hill. I remember pre-race being so determined to run up Heartbreak but I had nothing – there wasn’t a second’s thought as to whether or not I would run up it. I could barely walk – my heart had been broken miles ago. After Heartbreak, walking felt as difficult as running had earlier. I kept thinking, “If I could just rest for a minute, I could make it”. Several times I stopped and sat on the curb. Multiple people asked me, “Are you alright? Do you need me to get a medic?” “I’m fine”, I lied. And I would get back up and stumble on my way. Somewhere very late in the race – I can’t be sure where as I was no longer coherent – a belligerent drunk girl angrily berated my fellow walkers and me. “This is the Boston $%^&ing marathon, the greatest marathon in the world! Show some respect and run! Jog it out!! Jog it the #$%! out!” If I had any energy, I would have marched over there and punched her in the head and screamed, “You go run (okay, walk/run) twenty-something miles in 89 degrees with no shade and then come talk to us!” But I didn’t have enough energy to harbor animosity for long. Just keep moving. I started seeing stars. I took more breaks and sat down until it got more difficult to sit down and stand up than to keep walking. Hands on hips. Hands on head. Put one step in front of the other. I fought nausea. I saw the Citgo sign. I always heard that people felt joy upon seeing the sign but I felt only despair. I knew that there was one mile to go from the sign. I wasn’t even at the sign yet. How would I possibly make it? I found myself worrying about time now. I was struggling to read my watch, partly because it was fogged up from being sprayed with water, but also partly because my vision was blurring. Oh this was getting bad, very bad. I was well past 4 hours and I started worrying about the cutoff time. I so desperately wanted to lay down. I was fighting to stay conscious. I knew that if I passed out, somebody would throw me in an ambulance and that meant not finishing. I had not staggered this far only to DNF. Keep moving! At mile 25, I staggered over to the water stop. I opted for Gatorade because I felt desperate for fuel. I felt completely depleted. I grabbed a Gatorade and gulped some down. It was hot, like soup hot and my stomach told me, “Yeah, sorry, but that can’t stay here”. I stumbled towards a garbage can and tried to warn the guy standing next to it by yelling, “I’m going to puke!” The guy responded, “What? What’d you say?” But as I leaned over the can, I realized it was full of drinking water. Luckily, I managed to divert direction at the last possible second as I vomited on the road. “Oh, you said you’re going to puke” the guy stated as the realization of what I had uttered suddenly made itself obvious. I stumbled next to the water stop and collapsed on the road. Volunteers rushed to me and a guy said, “Don’t worry, I’m getting you an ambulance” and I yelled “No! No, don’t do that!” I tried to say something like “I’m just beat, just a little dizzy” but it somehow came out, “I’m just busy” which confused the volunteer for a second, giving me enough time to get up and start moving again before he had time to get help. Stumbling, bumbling, meandering, dry heaving, I moved on. I had less than a mile to go. “You can do this!” the fans and I both told me. This is how you’re supposed to look on Boylston Street. …and like this, at the exact moment that I realized how far I still had to go. I was embarrassed for being reduced to walking down Boylston Street. But you know what’s worse than walking down Boylston Street? 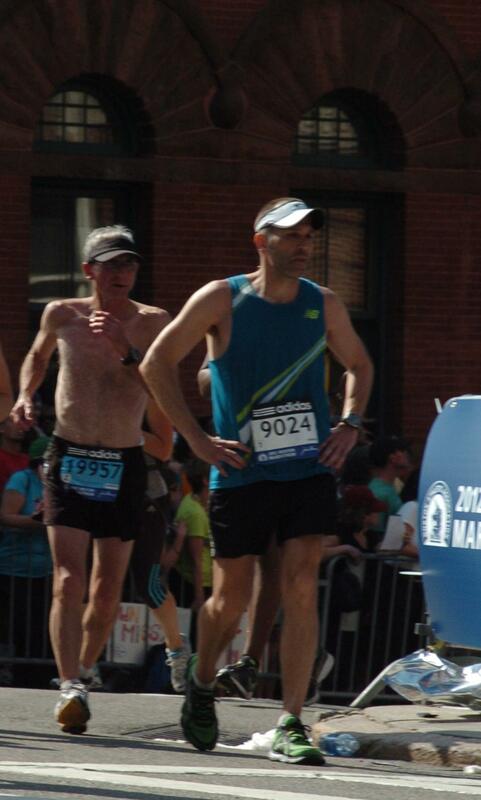 DNF’ing on Boylston Street. So I staggered on. And once again, the people of Boston carried me through. Things were not good – things were not good at all. I was not walking a straight line. I was staggering and seeing stars. I would stop and bend over, hands on knees, and I would dry heave. Nearby people cheered mightily, “You’re right there! Don’t you give up now!” And every time I’d stand back up, the crowd would erupt in cheer. I would have cried had there been any fluid left in my body. Stagger. Bend over, grab knees. Crowd admonishes me to keep moving. Stand up. Walk. Crowd roars. Repeat half a dozen times. 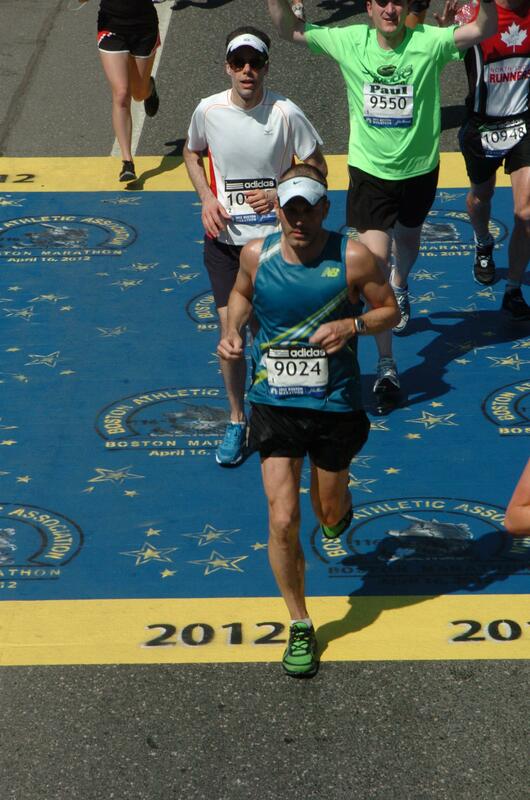 This is I how I traversed the last quarter mile of the Boston Marathon, until I crossed the finish line. Volunteers were waiting on me and caught me and the crowd went wild the instant I crossed the line. With my apologies to Irving Stone, it was simultaneously agony and ecstasy. The volunteers kept handing me off fire brigade style. “Please, get me to the medical tent”, I implored anyone that would listen. But they just kept moving me down the line. I made it to the end of the line of volunteers where now it was just me and this tiny woman who barked at me like a drill sergeant, “You have to keep moving. I can’t hold you up, you’re too big for me. Stand up and walk, keep moving!” Keep moving?!? Isn’t that what got me in this mess in the first place? For the last 3 hours, all I’ve dreamed of is the moment when I could stop moving. Again, I asked “Can you please help me to the medical tent?” but the lady just said, “You’re better than many. See that line?” She pointed to this crazy long line of wheel chairs that wound around and behind the medical tent. “They’re all in line to go to the medical tent. All you can really do is either keep moving or go wait in that line.” I had no desire to get in line so I tried to keep moving. She let go and I walked, like a baby giraffe walks. I tried to follow her instructions but after maybe half a dozen steps or so, I collapsed off to the side of the finishing chute which seemed as long as the marathon itself. I laid on the asphalt and wondered where my medal was. Soon I was surrounded by medical staff asking me questions. “Please. Where’s the shade? Can somebody move me to the shade?” I pleaded. They didn’t seem overly concerned. “There is no shade.” People were dropping all over the place – of the sick and/or injured people, I was one of the better-off ones. The finishing chute was more like a war zone. I saw multiple stretchers roll by. Some lady poured water on me. It was hot and felt like urination. “That doesn’t seem to be helping” I told her – they all laughed and made jokes but I wasn’t in a jokey kinda mood. It was all fun and games until somebody took my blood pressure and then everybody started freaking out. Before I knew what was happening, they had me in a wheel chair and someone yelled “Go, go, go!” while a little girl rushed me towards the medical tent. I got nauseous on the ride over and I tried to warn people in the way, “Watch out, gonna puke here!” but everyone seemed impervious to me until I puked near them – that seemed to get them moving. Someone handed me a barf bag and the little girl rolled me into the tent. It was heaven in there – shade and AC. The medical tent was like a MASH unit in a war zone. Hustle and bustle, moans and groans. Someone helped me onto a cot and wrapped me in space blankets. More questions. They offered me Gatorade but that was about the last thing I wanted. They couldn’t decide if I was dehydrated or suffering from hyponatremia (the opposite of dehydration). Someone decided I should drink some bouillon. Great idea – that triggered more vomiting and dry heaving. Everyone was so busy that they left me alone. Once I finished dry heaving, I started feeling a little better. I tried to figure out how to contact Derrick or Nathan, but I didn’t have my phone and I didn’t know either of their numbers. After maybe an hour in the tent, I could sit up without getting nauseous or too dizzy. A few minutes later, I could stand up. I grabbed a fresh barf bag and headed out on my own. I made it maybe 20 feet before starting the dry heaves again. Somehow this last round left me feeling a little better. I mustered up enough willpower to start heading back in the direction of the condo. I miraculously made it back to the condo and buzzed for someone to come let me in. No response. Insert cursing here. I had $5 dollars that I had brought for an emergency, thank god, because now I was, even if I wasn’t before, dehydrated (cotton mouth, no sweat, hadn’t gone to the restroom since mile 5 which by now was about 6 hours ago). I made it to the 7-11 and bought some strawberry milk and gingerly drank it as I worked my way back to the condo. I buzzed again and the door opened. I nearly wept for joy. Nathan called out from above “Allen?” I’ve never been so glad to hear his voice. Apparently, he had set out to the medical tent and had arrived shortly after I had been released. The buzzer is faint and Derrick couldn’t heard it. I collapsed on the couch and fought leg cramps while I looked back on the race. It was brutal and absolutely the most difficult thing I’d ever done. But that’s what you expect from an epic quest. Would Homer have bothered to write about Odysseus if he had smoothly sailed home in a couple of days? Of course not. It wasn’t pretty. It wasn’t easy. But over (8 years and) 5 hours after I started, I finished. Allen’s Road to Boston is complete. This entry was posted on April 19, 2012 at 5:46 pm and is filed under Uncategorized. You can follow any responses to this entry through the RSS 2.0 feed. You can leave a response, or trackback from your own site. I read the whole thing, and enjoyed sharing your journey. I found myself cheering you on as I read, and rejoicing when you crossed the finish line. There’s no greater accomplishment than overcoming hardship and perservering despite it all. In my opinion, if this had been easier for you, then it wouldn’t be nearly as inspiring. I’m so happy for you! Great re-cap! (for the reader, that is!). Congrats. to enduring what had to be one of the hardest things you’ve done. Not quitting when you’re body is screaming at you to just stop — it’s almost unnatural, but you persevered! Hope to shake your hand one day! Amazing!! Tried to read this outloud to a friend, my tears would let me! 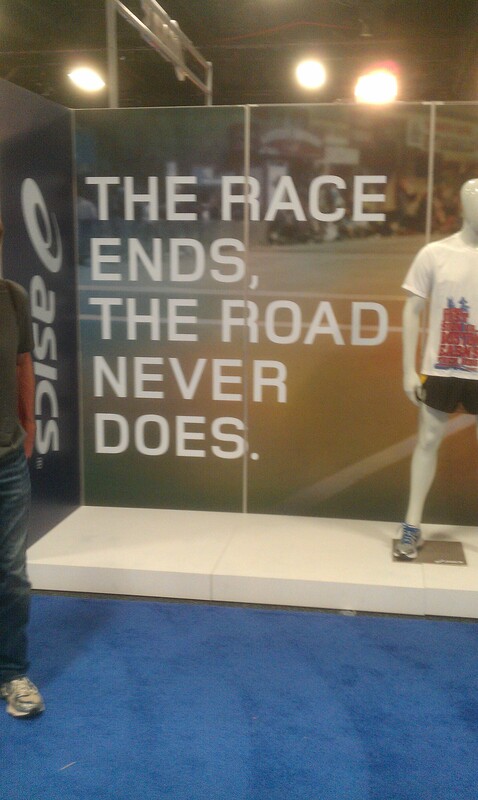 One day I will run Boston, or at least that’s what my son tells me! Read the whole thing. Cried. What a legendary race. Good on you! First time reading your blog, and what a great post to read. It’s inspiring to see that you set your goal and you achieved it. Maybe the results weren’t to your liking, but hell, man, at least you made it. (Like you, my goal is to make it.) As for the lady who yelled at you to run, forget her; she sounds like the prototypical masshole. Job well done, sir, for showing restraint and perseverance. Wow. Rob Ducsay sent me the link. What an experience. Thank you for sharing – the good and the bad. Cherish that medal! LOVE, LOVE, LOVE that you finished! Sometimes running gets reduced to the most basic, primal, and raw element of just putting one foot in front of the other. You honored and respected the tradition and meaning of the event but doing everything in your power to cross that finish line. Congrats! First off, I’m sorry about your mother having to battle cancer. Secondly, I found your blog because I was online searching for anything in a public blog that would implicate someone in today’s terrible bombings. I guess it’s my way of trying to help. 😦 I’m a navy wife, Mami of 2 (10 mos & 31 mos old) and I can’t stand to see tragedy and not be able to help in some way! Obviously, I found your remarkable story and I feel closer to the victims, runners & the city of Boston- which I’ve never visited. I’m glad you made it through. And you’ve encouraged me in a couple different ways. Thank you. So what was your time? And did you run yesterday? I hope your friends and family are safe!